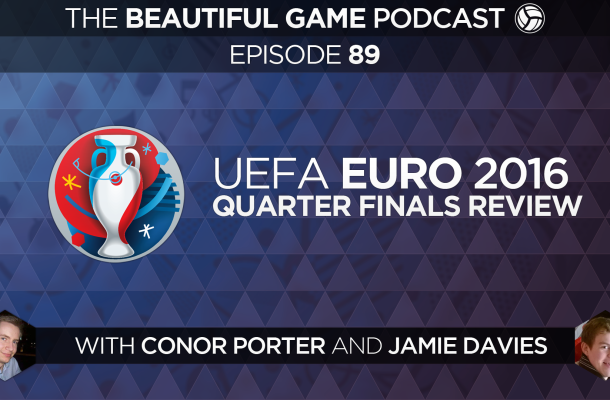 Conor and Jamie review the latest in the knockout stages of Euro 2016. They analyze the quarter-final games including Wales defeating Belgium 3-1, and Iceland’s Euro dream ending after losing 5-2 to France. They also preview the semi-final stages of the tournament and they provide their predictions for both games, Portugal vs Wales, and Germany vs France.